This mature biodynamic Demeter cheese has an extra rich taste because it has been naturally matured for 16 to 18 weeks. This typical Dutch regional product is very tasty, healthy and also very responsible. The milk comes from biodynamic agriculture, which means that extra attention is paid to the welfare of the animals and the natural cycle. This mature biodynamic Demeter cheese has an extra rich taste because it has been naturally matured for 16 to 18 weeks. This typical Dutch regional product is very tasty, healthy and also very responsible. The milk comes from biodynamic agriculture, which means that extra attention is paid to the welfare of the animals and the natural cycle. 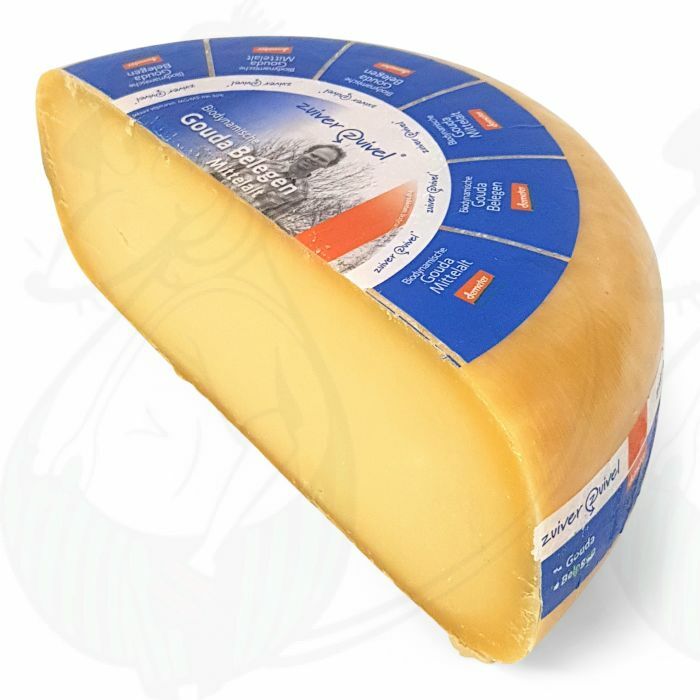 This extra quality cheese is also suitable for vegetarians because the process uses vegetarian rennet. The cheese is cut to order and vacuum packed. In its natural form, this cheese is best kept in a cool place (4 to 7 degrees Celsius).